If there’s one smartphone series that has truly revolutionised the budget segment, it has to be the Moto G series. And as we gear up for the launch of the seventh iteration of this concept, we have decided to gather up all the leaks and the rumours surrounding the Moto G7, the Moto G7 Plus, the Moto G7 Play and the Moto G7 Power to give you a detailed lowdown on what to expect from these handsets. The murmurs are strong about a number of upgrades going into these handsets, which should make potential buyers very happy about them. So without wasting any more time, let’s get going with the rumour roundup. 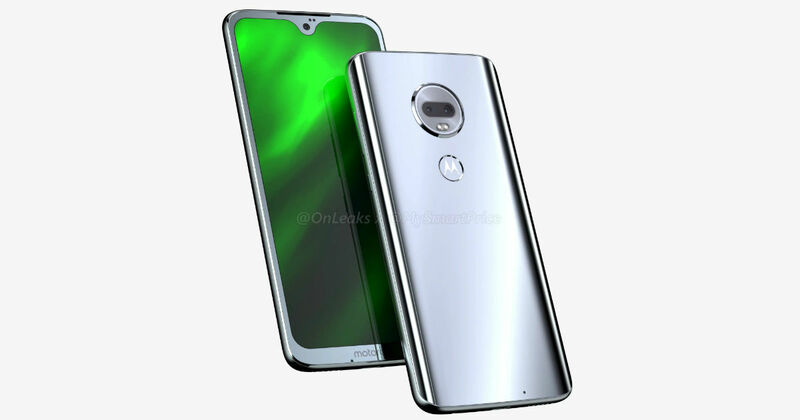 Renders of these smartphones have been leaking out into the open since quite some time now, and most of them are suggesting that the main models, the Moto G7 and the Moto G7 Plus will bear waterdrop notches on their displays. This enables them to offer tiny bezels, giving users the feel of a full-screen front surface. 6.2-inch displays with a resolution of 2,270×1,080 pixels will apparently be making their way onto both handsets. These phones are expected to have curved glass surfaces on their rear ends, which will be highlighted by dual-camera setups and fingerprint scanners that will be embedded into the Motorola logo. Coming to the Moto G7 Play and the Moto G7 Power, they will be slightly lower priced, and will hence ship with lower-end specs. Single cameras will be placed on their backs, right above their Moto-branded fingerprint readers. It seems like these models will be going for plastic rear shells, and their notches will not be of the waterdrop style. These phones will have iPhone-like wide notches, though the one on the Play model will be wider than the one the Power variant, if the leaked renders are anything to go by. The G7 Play could feature a 5.7-inch HD+ display, while the G7 Power could come with a 6.2-inch HD+ panel. All four models are being tipped to feature headphone jacks and USB Type-C ports, so there’s more to be happy about. About water and dust resistance, there’s little info available at the moment. But since the Moto G6 range was blessed with splash resistance capability, we can hope for some kind of protection to be there on this year’s models. It’s been all but confirmed that the Moto G7 will have the Snapdragon 632 chipset at its heart, while Moto G7 Plus will ship with the Snapdragon 636 chipset. That said, Moto G7 Play as well as the Moto G7 Power could also utilise the Snapdragon 632 model as well. The biggest ace up the Power model’s sleeve however, is its incorporation of a 5000mAh battery. The battery capacities of the other handsets are still not clear, though rumours suggest that 3,000mAh cells will be seen inside the regular G7 and its Plus model. The Play variant is expected to sip juice from a 3,000mAh battery as well, which is a downgrade from the 4000mAh pack of its predecessor. 4GB of RAM and 64GB of storage will be available on the Moto G7, and while its Plus model is supposed to have the same storage and memory variant, it’s being said that a 6GB RAM model is also on the cards. The Play model might offer 2GB of RAM and 32GB of storage, whereas the Power variant will supposedly deliver 3GB of RAM and 32GB of storage. MicroSD card slots are of course expected to be available with all these phones. Past leaks have suggested that the Moto G7 will flaunt 12MP + 5MP shooters with f/1.8 and f/2.2 apertures, respectively. And as for its Plus model, it employs a 16MP f/1.7 + 5MP f/2.2 setup on the back. Both these phones are tipped to feature 8MP front cameras, which will have face recognition embedded into it. All the regular camera features will be present in these phones, apart from an updated Pro mode, as per leaks. In contrast, the G7 Play could offer a 13MP main sensor, and the Power model, a 12MP one. Both the phones will also deliver 8MP selfie snappers. A recent report told us that the Moto G7 and the Moto G7 Power will be the first phones from the series to arrive in India, while the other two will be released in the later months. Lenovo will unveil them at an event apparently slated to take place on March 31. But prior to that, they will be making their debuts in Brazil on February 7. The pricing of the Moto G7 is expected to be kept at somewhere around the Rs 14,000 mark. As for the Power model, it’s expected to retail at much cheaper than that, at approximately Rs 10,000.